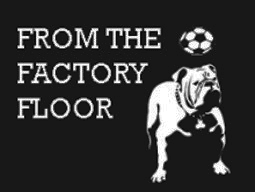 Last Wednesday, I taped a segment for the Football Factory's "From the Factory Floor" podcast. Host Steven Korowitz grilled me for over half an hour on all things NYCFC; the club, its ownership, Man City, stadium problems, and the all-important question "Why not the Red Bulls?" My episode of the podcast was released just this morning, and you can stream it online on their website or download it from iTunes. The Football Factory, aside from being one of the best soccer pubs in the city, was also the host of our first informal meeting. It was a pleasure to speak with Steven, an honor to help spread the word about NYCFC and what we hope to accomplish, not to mention just fun to talk football for a little while. I hope you'll listen to it, and I hope to do more in the future.